Stearns and Foster Hampshire Mattress. Home → Pain → Back Pain → Stearns and Foster Hampshire Mattress. Recently, I stayed at a b&b, and slept on a Stearns and Foster Hampshire classic mattress, which my girlfriend really liked. Since I had a good experience with the brand, I’d like to purchase a Stearns and Foster mattress, but I’m not sure what to purchase. I have a full size bed. I’m 35 years old, 5’11”, and weigh about 170 pounds, so I’m fairly slim. I sleep on my side. Also, I have a slight bulge in one of my discs, which leads to some hip / low back discomfort on my left side. Basically, I’m only really comfortable sleeping on my left side. Would you be able to recommend a couple different possibilities at some different price points? I only have a bed frame at the moment, so I’ll need to purchase other necessary items (e.g. Box spring, mattress protector, etc). I’m a complete novice and could really use some guidance. 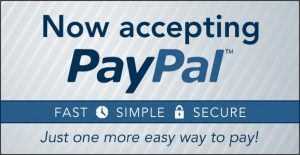 Since you seem like a trustworthy source, I’d also like to purchase the mattress from you. My wife and I stayed at a small, roadside motel in Vermont, a couple of years ago. I was surprised to see that they had the very same mattress you slept on. Part of that surprise was due to when that mattress was made…20 years ago. 20 years ago, we were a Sealy/S&F retailer…with S&F being the Cadillac of the Industry. We dropped both of those lines in 2014, after they were purchased by Tempurpedic…after they loaded everything with memory foam. Memory foam is the worst upholstery material ever invented….specifically designed to cause mattresses to need frequent replacing. All of the name brands have been sold and all of the name brands are now upholstered with memory foam. I urge you to forget about buying a Stearns and Foster mattress. Nothing they make, today, is anywhere near the quality of that 20 year old mattress you experienced at that B&B. When you walk into a almost all mattress stores, today, you’ll find a sea of mattresses upholstered with memory foam. 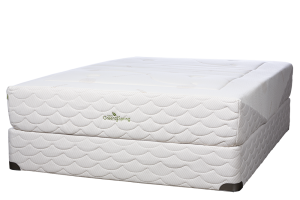 If you would like a recommendation for a high quality mattress, that which we have at home, The Natura of Canada Greenspring is what to get. Their Ultra Plush model is the most comfortable of the 4 available models. 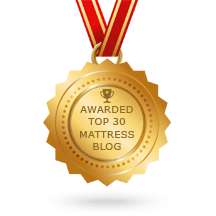 These mattresses are upholstered with Natural Talalay Latex…and contain NO Memory Foam.